When Tony and I first discussed starting a family, we absolutely agreed on one thing for certain: we hoped to have a boy first. Being the only girl in a family that includes 1 brother and 3 stepbrothers, the thought of raising a daughter absolutely petrified me. Add in that my friendships with girl friends have never been stellar and that I don't have any sisters to relate to and it's really no wonder. For a time, it wasn't a thought, as we were amazingly, overwhelmingly blessed with two of the most wonderful boys. Isaac, you are so much, of everything. You are smart, exasperating, persistent, hilarious and caring. When we try to get you to stop interrupting or to abide by the time out rules of no talking, you complain with great passion "But I love to talk!" And you do, and we love to hear what you have to say . . . most of the time. You are also very creative, so your dreams never cease to confuse us, your lego creations make us proud and there's always something new to draw. Ezra, you are a mama's boy. Through and through. I never knew how cuddly, affectionate and dependent a child could be until you came into my world. You are tender hearted, full of joy, particular, strong willed and very loving. Just like your brother has shown a knack for lego creations and spatial relations, so you have also shown an intense need to build and create. You've only just started to really expand your vocabulary and we love to hear you build your confidence in expressing yourself. Your need for me and soft heart are what I'm concerned most about in adding a sister. Thankfully though, you are quite enamored with babies and I'm hopeful that your new baby sister won't change that! When we were roughly as close to meeting Ezra, as we are to meeting our Baby Sweets, I wrote how scared I was to lose some of Isaac in gaining another son. Guilt, not so much, as fear. This time I have a little worry for my little Ezra. Mostly though, it's that reservation over losing "both boys," my identity as a boy mama, that has concerned me. I posted about it on IG last night as well and heard so many heart warming responses. I can't tell you how much they proved to be a balm to my heart. It's brought me here. I'm ready. I'm ready for this change, to be the mother of a daughter, and especially to be a family of 5. I can't wait to see both boys holding their sister. Isaac, oh so proudly, Ezra smitten with a baby, but probably not fully understanding that she's coming home with us. Your boys are so like mine it's crazy. The oldest - the little spitfire, always talking, pushing boundaries, being creative and adorable and stubborn; the youngest - a mama's boy, so sweet and snuggly, looking up so much to his big bro. Makes me wonder if my family will continue to follow how yours has turned out, with a girl next. Who knows. ;) Either way, I can't wait to watch you become a girl mama, too! Call it pregnancy hormones or whatever you will, this post had me in tears. Beautiful! I also was terrified to have a girl. God has blessed me beyond what I can fathom, she has literally captured a piece of my heart that I never thought possible! Cheers to your new beautiful adventure! Be blessed! 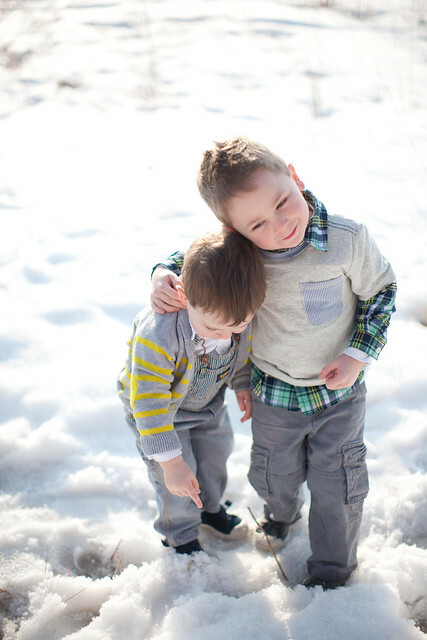 My boys are the same, the oldest, a spirited, boundary pushing little boy full of personality. I thought i knew cuddly and mama's boy until the baby came and he is the epitome of just that... we've talked about another and I'm sure i'll feel the same way if ever have a girl but babies have a way of changing everything you ever thought about, well, pretty much anything :) sweet post. This brings tears to my eyes as I remember these emotions on the eve of having Kenley. Once you have that sweet little girl in your arms, it will come natural. And those boys will be in LOVE. IN love. I couldn't help the rush of tears in my eyes when I read this. So much love - and your boys are just...well.....too much. I can't believe Isaac will be 4 this month! You and Tony are amazing parents, and this little girl will be showered with love and sweetness. Can't. wait.